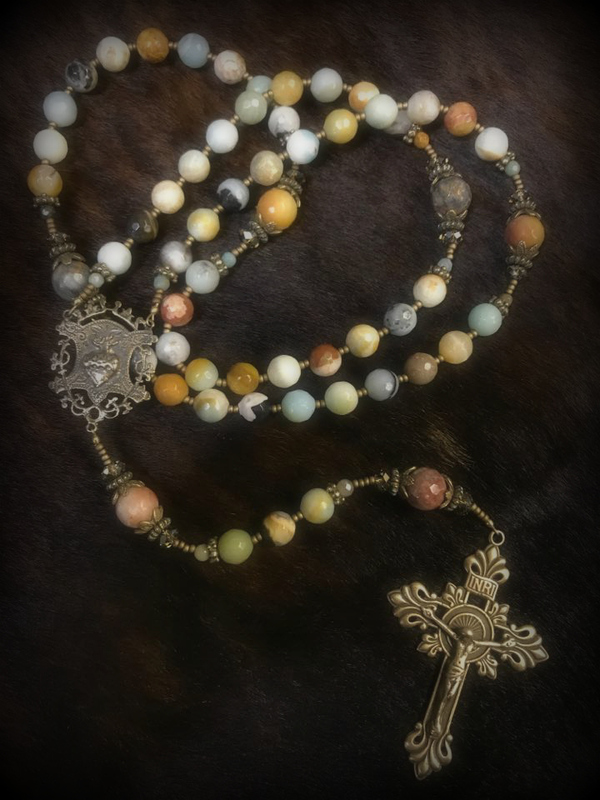 Description Beautiful amazonite gemstones accented with bronze center and crucifix and findings throughout the rosary. Our Father beads are slightly larger than the Hail Mary beads and are heavily capped. Each decade is capped as well.